Looking to buy a Best Selfie Camera Phone ? Then, you are in the right place !!!! A selfie snap makes you feel happy always. Today’s young generation is crazier about taking selfie pictures. With the enhancement of selfie culture worldwide, the smartphone manufacturers have a special concern over the picture quality and resolution of the selfie cameras rather than the traditional rear camera. So, they have added AI aspects, portrait modes and beautification features with their new releases. 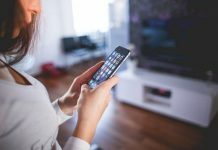 We know that there is a stiff competition among the Chinese, Taiwanese, Korean and Japanese smartphones in bringing in latest technology update in their new releasing models. 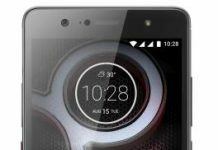 Each brand from these countries have unveiled smartphones in the recent times targeting a specific set of people who aim at different aspects in a smartphone like game, music, video clarity, processing speed, latest operating system, RAM and internal memory, connectivity aspects, attractive multimedia features and so on. In this row, there are mobiles available in the market for selfie lovers with an affordable price range between 10k to 20k. This article helps you identify the best and affordable selfie-centric smartphone in each brand so that viewers can compare and purchase the most suitable one. Redmi Y2 is a well-known selfie-centric smartphone from Xiaomi brand as the mobile has occupied the minds of selfie crazers upon its entry in June 2018. Selfie camera of 16 MP is Artificial Intelligence based and its other features include f/2.0 aperture, HDR sensor, AI Beauty 4.0. This beautification feature is almost available in all smartphones. Super Pixel is used by the front camera for capturing images without any noise i.e.. irrespective of more light or low light. HDR mode will provide the better results. A selfie light shall be turned on for better picture quality. A dual rear camera setup of 12 MP + 5 MP. Picture capture can be done in square mode, portrait mode, manual mode and panorama. Regarding its external look, the mobile is metallic coated with rounded edges. Dark Grey, Gold and Rose Gold are the three colour options of Redmi Y2. The power button is provided on the right with a volume adjuster while the triple slot tray is available on its left. At the top, a 3.5 mm headphone jack is placed while, at the bottom, microUSB and speaker is built. The bottom speaker might be a slight drawback when you are watching videos in landscape orientation. A 5.9-inch HD+ display with 1440 x 720 pixels resolution is offered on Redmi Y2 which is also enabled with a new feature of “full screen display” for the first time. The mobile is powered by a 2GHz Octa Core Qualcomm Snapdragon 625 SoC and Adreno 506 GPU as available in Xiaomi Mi A1. Running on Android 8.1 Oreo, the mobile’s MIUI 9 interface is expected to be updated to MIUI 10. It is powered by 3080 mAh battery which clearly doesn’t suit a heavy duty user. Overall, Redmi Y2 is best selfie camera smartphone under Rs.10,000. Redmi series mobiles are always appraised for their excellent battery capacity of 4000 mAh capable of lasting for long hours. Xiaomi Redmi Note 5 Pro is one among this series. It is featured with an awesome 20 MP selfie camera capable of recording full HD videos at 30 fps and a dual primary camera (12 MP + 5MP). 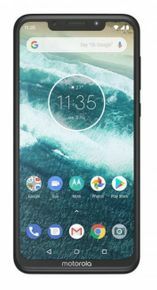 1.8 GHz Octa core processor, Qualcomm Snapdragon 636 chipset and Adreno 509 GPU graphics supporting processor are the notable hardware features of this model. Android v7.1.2 Noughat OS is now upgradable to v8.1 Oreo. 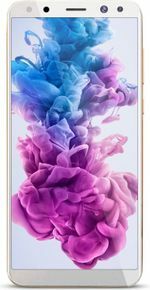 Supported by 4 GB RAM and 64 GB internal storage, the mobile is enabled with a IPS LCD display of 99-inch with a screen resolution of 1080 x 2160 pixels and an aspect ratio of 18:9. The mobile has a metal body casing in four different color options such as Black, Blue, Gold and Rose Gold. A major drawback is that it has a hybrid SIM slot with which you can’t use both the dual SIM slots and microSD at the same time. i.e.,either a single SIM slot and microSD or dual SIM. Overall, the mobile is the best for front camera lovers below Rs. 15,000 much suitable for mid-range smartphone buyers. Here is the unboxing video of Xiaomi Mi A2. Similar to Redmi series, Mi is also a sub-brand of the Chinese mobile manufacturer Xiaomi available in the mid-range budget price. Mi A2 features a 5.99-inch IPS LCS full HD+ display screen with an aspect ratio of 18:9. A screen resolution of 1080 x 2160 pixels with a pixel density of 403 ppi is sufficient for displaying quality photos and videos that are captured by 12 MP dual primary camera and 20 MP selfie camera that are supported by ExmorRS CMOS sensor and soft LED 4k video recording at 30 fps is possible. Regarding its configuration on hardware aspects, the mobile is featured with two Kryo 260 quad core processors at a clock speed of 2.2 GHz and 1.8 GHz. For graphics requirement, Adreno 512 GPU is more than enough. A fingerprint sensor is placed just below the rear camera for security purpose. A major drawback is that the 3100 mAh Li-ion battery may not suit for heavy duty users and it requires frequent charging, but, the fast charging facility compromises this discomfort. Huawei brand Honor 9i is a dual selfie-centric mobile built with 4 GB RAM, 64 GB internal storage and an expandable memory of up to 128 GB. Prestige Gold, Aurora blue, Graphite Black are its attractive and distinct colour options. Regarding its display features, the mobile is featured with a 9-inch good screen with a resolution of 1080 x 2160 pixels and 18:9 aspect ratio. So, it is more than enough to watch quality videos and play games. An average battery of 3340 mAh empowers the mobile that makes it hard to use for long time users. 16 MP + 2 MP Primary camera and 13 MP + 2 MP front camera are its highlighting camera features with Face Detection and HDR support. The secondary 2 MP is for attaining better picture accuracy. Moving picture mode, aperture mode, portrait mode, beautification mode are the additional camera features. Besides this, bokeh effect is also available. The mobile get positive reviews on its selfie camera performance. Low-light image capturing is average. Recording of videos at 1080p can be done on both front and rear camera. 3G, 4G, GPS, Wifi, Bluetooth and NFC are its connectivity options. Powered by 2.36 GHz Octa-core Kirin 659 processor, Honor 9i is enabled with Kirin 659 CPU at 2.36 GHz clock speed. Also, the position of fingerprint sensor needs a finger stretch, but, anyhow, the black finish and metal unibody design are awesome. LED Flash at the rear and a soft selfie flash at the front enables a user to take high quality images. There are many complaints on its series mobile Honor 7S such as swipping between home screens, switching between apps, scrolling the apps list. There are also some issues noticed in night time camera shots and also on autofocus feature. But, the above all features are rectified in this model. Drawbacks lie on its below average battery life and slow charging. Overall, it is worth for purchasing around 13,000. It is an yet another smartphone from Huawei brand. Unlike other huawei models, P20 Lite is a power-packed device that is able to perform multiple tasks. Although, the model is famous for its quick charging facility, its 24 MP selfie camera is also a notable factor that elevates its success level further. Huawei P20 Lite has a 5.84-inch IPS LCD display screen with 1080 x 2280 pixels resolution and an awesome aspect ratio of 19:9. P20 Lite runs on 64-bit Octa-Core processor and supported by 4 GB RAM, 64 GB internal memory processor that is expandable up to 256 GB. 16 MP + 2 MP dual Rear Camera set-up with a phase-detection autofocus and LED Flash is the another attractive highlight. Powered by 3000 mAh Li-Po battery, the mobile can be charged quickly. Running on Android 8.0 Oreo version, the smartphone is supported by HiSilicon Kirin 659 chipset and Mali-T830 MP2 graphics support. A fingerprint sensor is provided at the back like other mobiles. If you are looking for a great quality selfie smartphone with upgraded features around Rs.20,000, then this would be your choice. Nova 3i is a Huawei brand smartphone that is well-known for its larger display size of 6.3-inch with a 2.5D curved glass IPS LCD screen with a resolution of 1080 x 2340 pixels with 409 ppi pixel density that facilitates users to experience a high quality video watching. Besides this, its camera features are also impressive. 16 MP + 2 MP dual rear camera setup with LED Flash and f/2.2 rear camera aperture and 24 MP + 2 MP dual front camera setup with f/2.0 aperture are unavoidable aspects when you are making a selection over selfie-centric smartphones. Supported by the latest Android v8.1 Oreo version, 2.2 GHz Octa core 64 bit processor and HiSilicon Kirin 710, the mobile is backed up by 4 GB RAM with an awesome internal storage memory of 128 GB expandable up to 256 GB. A 3340 mAh Li-ion battery is sufficient for a day backup but the advanced features like quick charging and wireless charging are absent. Overall, this Nova model unveiled in black colour is affordable to buy around Rs. 20,000. Launched in July 2018, Vivo Z10 is yet another selfie smartphone from China. Outweighing other selfie-centric smartphones, this vivo model is built with 24 MP front camera with PDAF lens for slow motion and 64 MP ultra HD image upscaling ability. Face beauty feature, Moonlight glow, Portrait mode are the other notable aspects. It has 16 MP rear camera with an LED flash and phase detection autofocus. Vivo Z10 has a plastic and metal body design and available in blue, black and gold colours. The mobile is featured by 6-inch screen size, LCD IPS HD+ display with a resolution of 1440 x 720 pixels and an aspect ratio of 18:9. This feature is more than enough for viewing photos and videos. Powered by 8 GHz Octa-core Qualcomm Snapdragon 450 processor, the vivo model is built with 4 GB RAM, 32 GB internal storage. These hardware aspects can guarantee a standard performance. Drawbacks are noticed on its battery capacity i.e. 3225 mAh Li-Po is average enough for a light-duty user. FM Radio option is disabled that makes an user not to hear to your favourite radio stations. Overall, it is the best one purchasable model under mid-range. Vivo V9 is known for its powerful performance as it is enabled with extraordinary configuration aspects involving 2.2 GHz Octa Core processor, Adreno 506 GPU and Qualcomm Snapdragon 626 chipset. Also, its memory storage aspects involve 4 GB RAM, 64 GB internal memory and 256 GB expandable memory. Besides these, its 24 MP selfie camera and 16 MP + 5 MP primary camera accompanied with CMOS image sensor could be able to take clear photos and also good for making video calls. Vivo V9 is built with 6.3-inch IPS LCD display screen with a resolution of 1080 x 2280 pixels and an awesome pixel density of 400 ppi. Running on Android v8.1 Oreo, the device has a Funtouch User Interface and favours for dual LTE network. A rear-mounted fingerprint sensor is conveniently placed for security purpose. As available in other models, Corning Gorilla Glass screen protection prevents scratches and collisions. A 3,260 mAh Li-ion battery is considered to be the major drawback as it this capacity might not withstand this high level performance of the model for a full day. So, the users have to charge them frequently to avail this model service. South Korean origin Samsung’s Galaxy A6 Plus is amazing with respect to selfie camera and sound configuration aspects. A 24 MP front camera can take selfie snaps with original clarity and look. This is an impressive smartphone matching with qualities of high end smartphone features. A6 Plus has a super AMOLED display with a screen resolution of 1080 x 2200 pixels and an excellent aspect ratio of 18.5:9. Backed by 1.8 GHz Octa-core cortex A53 processor with Snapdragon 450 chipset and Adreno 506 graphics processor, the mobile is more suited for gaming, multitasking and graphics. A6 Plus runs on Android v8.0 Oreo and supported by 4 GB RAM, 64 GB internal storage that is expandable upto 256 GB. It has a sufficient battery capacity of 3500 mAh. Samsung is a well-acknowledged brand for smartphone. If you are looking to buy for a selfie-centric mobile phone in this brand, this model will be more suitable one. Galaxy A9 star Lite is the upcoming model of Samsung coming with 24 MP Front camera and is expected to arrive market by October 2018. Watch the following unboxing video of Galaxy A6 Plus. As the name itself says, it is a famous selfie-centric smartphone. It has dual front cameras that could be able to click clarity selfies. Apart from selfie camera aspects, the mobile is premium in design with a long battery backup and AMOLED display. 24 MP + 5 MP Dual Front Camera set up is extra-ordinary and hard to notice in other brands. A soft light flash can capture selfies in low-light. A video recording facility of 3840 x 2160 pixels @ 30 fps is possible with this selfie camera. A 16 MP main camera is also enabled with CMOS sensor and Dual-color LED Flash that can guarantee a image resolution of 4616 x 3464 pixels and video recording of 3840 x 2160 pixels @ 30 fps with 120 degree wide angle capture. The model has 1080 x 1920 pixels full HD AMOLED display screen having a 401 ppi pixel density with corning Gorilla Glass protection. Running on Android v7.0 Noughat OS, the mobile is supported by 2 GHz Cortex A53 Octa-core processor with Qualcomm Snapdragon 625 chipset and ZenUI 4.0 interface. Like the previous model, it is backed up by 4 GB RAM and 64 GB internal memory that is expandable up to 256 GB. Eventhough it is facilitated with many highlights, there are also some notable drawbacks. A removable Li-ion 3000 mAh battery is replaceable and is below average as it will not suit for heavy duty mobile users. 4K UHD video recording is possible without any shaking effect in three axes. If you are looking for a perfect selfie centric smartphone with iphone like look, then this is the optimum one as it is priced around Rs.17,000 only, but, you need to comprise on other drawbacks like battery capacity, screen to body ratio, average display size of 5.5-inch. Here is an another entry from China brand. Oppo mobiles are popular for its latest upgradable features in its newly released smartphones. Among all the above mobiles seen above, Oppo F7 has a better selfie camera resolution of 25 MP which is quite impressive. In addition to this, it is backed up by 4 GB RAM and 64 GB internal storage with an expandable storage of up to 256 GB via memory card. 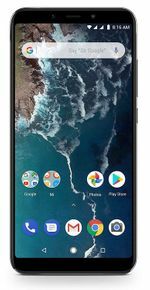 Running on Android v8.1 Oreo, the mobile has two quad core processor – 2.6 GHz Kryo 360 processor and 1.7 GHz Kryo 385 processor supported by MediaTek Helio P60 chipset and Adreno 615 GPU. These are the other notable highlighting features of Oppo F7 apart from 25 MP selfie camera. Along with attractive design features, it is able to perform multiple tasks with this configuration. 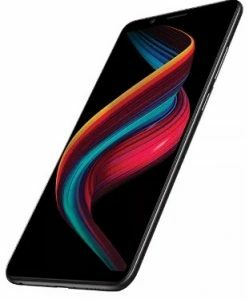 Oppo F7 is featured with IPS LCD display screen with a size of 6.23-inch and its 1080 x 2246 full HD+ resolution is excellent with a pixel density of 402 ppi. Its 2.5G curved glass protection is an added advantage. The model is available in three different colours – Black, Red and Gold. Besides this, a dual primary camera setup of 16 MP, 4k video recording facility at 30 fps speed, LED Flash with front camera for facilitating video calls at night and capturing selfies at dim light. Oppo F7 is supported by an inadequate battery capacity of 3400 mAh as it can’t provide a backup for a whole day. Also, it doesn’t support quick charging. Anyhow, the overall performance is good with no overheating issues. It is now affordable to purchase below Rs.18,000. Apart from these oppo mobiles, Oppo F3 and Oppo F9 are provided with 16 MP front camera. If you want to buy a basic selfie-centric mobile phone with an extensive battery capacity, then, this is the best suitable one. A thin bezel on the sides is the attractive aspect of this model that you might not see in others. Regarding its performance, it is coupled with 4 GB RAM and a massive storage capacity of 64 GB expandable up to 256 GB through memory card. Snapdragon 435 chipset accompanied with 1.4 GHz Octa Core processor and Adreno 505 GPU enables the user to perform multitasking operations and also favours for high quality graphics. The mobile has 6.0-inch IPS LCD display with an aspect ratio of 18:9 and a screen resolution of 720 x 1440 pixels. A 2.5D curved glass protected by Coning Gorilla Glass v3 enables a good look to the smartphone users and makes it pretty impressive to hold. A 5000 mAh Li-Po battery is meant for a long-time backup which you could not see in the above models. Also, quick charging facility recharges your mobile at a quick speed. 13 MP rear camera with an LED Flash and 8 MP front camera are the basic camera features of a smartphone at the price range of around Rs.12,000. Other than these, there are no notable drawbacks identified except the basic selfie camera resolution of 8 MP, but, it is overcome by the other configuration features. 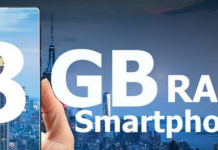 Motorola One Power is enabled with awesome configuration aspects and it is an yet another basic selfie-centric smartphone with huge battery of 5000 mAh like the Gionee model. The mobile is featured with a display 2-inch full HD+, excellent aspect ratio of 19:9 and 2.5D curved glass protection while the above models are provided with 18:9 ratio only. A screen resolution of 1080 x 2280 pixels with a pixel density of 441 ppi can make users to enjoy the clarity videos and play games. Android v8.1 Oreo version, Qualcomm Snaprdragon 636 chipset, two kryo 260 quad-core processors at 1.8 GHz and 1.6 GHz clock speed are its magnificent aspects of the mobile. Know more about this smartphone through a mobile video. A 16 MP front camera with single LED flash can record 4k videos and is able to capture clear pictures in HDR mode. In addition to this, a 16 MP + 5 MP dual rear camera setup available at the left corner with phase detection autofocus is its other highlighting camera aspect. Above all, the notable drawback is its average battery capacity of 3780 mAh that drops down when used for long hours in a day. Also, unlike the above listed mobiles featuring 4 GB RAM, this model has only 3 GB RAM. Also, Motorola is India based while the above seen mobile are from different Asian countries and is yet to have an entry into the market. If you want to buy a selfie-centric smartphone model at the cheap rate, then, it is highly suggested to go for this. But, the selfie camera resolution is at the basic level i.e. only 8 MP. But, some major advantages involve 4000 mAh Li-ion battery, its low price around Rs.7,000. Lenovo K8 Plus is featured with 3 GB RAM and 32 GB internal memory that is expandable up to 128 GB via microSD. It is processed by 2.6 GHz Octa Core Processor. Its key display features are 5.2-inch size with IPS LCD 2.5D curved glass 3 protection and 1080 x 1920 pixels full HD resolution. Regarding its rear camera features, a 13 MP + 5 MP set-up with dual color LED Flash and f/2.0 aperture is sufficient for a basic set. Video recording facility of 1080p @ 30 fps is available with a digital zoom of up to 4x. Android v7.1.1 Nougat OS is upgradable to Android v8.0 Oreo. Rear fingerprint sensor is embedded. You may not look pretty good in real time, but, if you want to make your selfie snap stunning, then these kind of apps will assist you as a tool in implanting your needed beauty effects in your picture. After taking selfies, it is highly recommended to make modifications to the snap so that it can further beautify your self-portrait with filters and effects. This is done using various apps available in app store. Also, instead of using the default camera app in the mobile, it would be better to use the selfie camera apps for taking impressive selfies that make you stand out of the many selfie pictures posted in social media platforms. Beautifying actions involve changing your hair style, hair color, lipsticks color, teeth gleaming for whitening your teeth, brushing your face. Mascara tool facilitates more changes to eyes such as eyeliner, contact lens, eyelashes and so on. Faces, masks and motion stickers can be used in beauty cam. Also, each sticker can be resized. Silent camera mode enables you to take selfies anytime without your knowledge for capturing your natural expressions rather than embarrassed expressions while taking selfies. The following are the best selfie camera apps designed for Android. This app has many special filters such as fashionable stickers, animal stickers etc. With this application, you can give a new color to your hairstyle, remove any flaws available in the skin and similar others. The selfie taking process gets simplified and photo filters can be easily applied. A detailed editing of your selfies is possible with this app as it consists of many filters, beauty and face recognition stickers, silent camera that elevates your photography skills and make you a professional photo clicker. It is a favourite app for easy photo editing and is commonly used by makeup artists and professional photographers as it has various editing tools. Selfies can be taken with auto-retouch facility with which you can preview your photo at the right corner before clicking it. This app can create a perfect smile image and take photos in perfect lighting amidst dark conditions or dim light. A magic brush option with many special filters are available here. B612 is embedded with over 1500 face recognition stickers that can make your face get modified into different animal shapes or other similar patterns. The selfies taken can be made bright and colourful and it is also possible to create music videos of high quality. Real-time beauty effects can be applied for making your selfie shot perfect. Among all the above apps, Youcam Perfect can satisfy all the beauty requirements for attaining a perfect selfie picture with beautifying effects. Youcam perfect adds smile in any of your selfie images taken and could be able to reduce or edit unwanted background so that your photo would get more likes in social media like Twitter, Facebook, Instagram etc.. In addition to the above, there are other selfie camera apps such as Alice Camera, Selfie clone camera, selfie HD camera, sweet camera, free filter sticker, BestMe selfie camera, pip camera pro, Microsoft selfie and so on. Selfies are self-portrait images taken with the front facing camera within the reach of a person’s arm length. It is possible to keep a self-timer also. When you want to take a snap of your portrait beyond the arm’s range, at distant angles and lengths, then, there comes the use of selfie stick which is extendable up to roughly 32 inches and shrinked to just 11 inches. With this selfie stick, it is possible to take photos and record videos by positioning the device in the stick. Interestingly, the clamp is adjustable and gives a better grip. The handle has a shutter button that has to be tapped while taking selfies. Usually, it is connected to the device via Bluetooth or tethering. The modern statistics say that there are rising selfie deaths and selfie related injuries worldwide, particularly in tourists spots. In order to avoid this, there are various sign boards you can see in museums, galleries, theme parks and historical sites indicating the ban of selfie sticks or selfies. Many sporting events like Football matches have considered selfie sticks as nuisance and restricts them inside the stadiums as it would interfere the spectators view while watching the play. Selfie is one of excellent way to take your own photos at anytime anywhere. You don’t need to depend anyone for taking snaps. So, that only selfie camera phones popular nowadays. But choosing good smartphones will make you more beautiful than average selfie mobiles. That is why here we listed all great quality mobiles for selfie lovers. Hope you liked this article. We also shared some of the selfie apps. You can check them also. They are very cool apps to make your photos more beautiful. What is your favorite brand among these models? and comment below your opinion about this article. Karthick is mobile & technology editor in mippin.com. He often test and review the new mobiles & tech gadgets in the industry. understand such particular about my problem. You’re amazing!